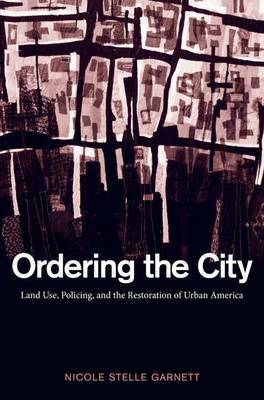 This timely and important book highlights the multiple, often overlooked, and frequently misunderstood connections between land use and development policies and policing practices. In order to do so, the book draws upon multiple literatures - especially law, history, economics, sociology, and psychology - as well as concrete case studies to better explore how these policy arenas, generally treated as completely unrelated, intersect and conflict. Nicole Stelle Garnett identifies different types of urban "disorder", some that may be precursors to serious crime and social deviancy; others that may be benign or even contribute positively to urban vitality. 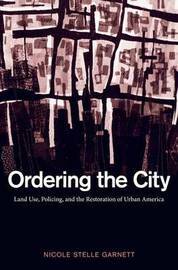 The book's unique approach - to analyze city policies through the lens of order and disorder - provides a clearer understanding, generally, of how cities work (and why they sometimes do not), and specifically, of what disorder is and how it affects city life. Nicole Stelle Garnett is a professor at the University of Notre Dame Law School.